The RAF 68 and RAF 682 are piloted hydraulic valves activated by line pressure. Both pilots have spring-loaded membrane. One pilot is sensible to upstream pressure and the other to downstream pressure. The combined operation of the two pilot valves sustain a constant upstream pressure of the valve, and at the same time reduces the downstream pressure to a preset pressure. The 68/682 valve opens and closes gradually to maintain both required pressures simultaneously. 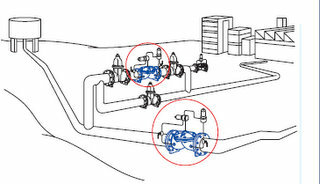 use to pressure reducing/sustaining valve to define two pressure zones along a supply line, typically, along a downhill flow. 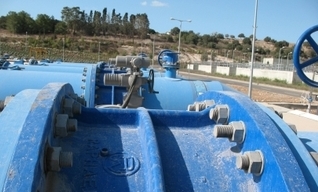 Use 68/682 for general water supply systems with medium pressure rating. The elaborated 2-way command with Raphael's patented diaghragm enables smooth and precise pressure control.